בית / Companies / Goldfarb Seligman & Co.
Goldfarb Seligman & Co., one of Israel's largest law firms, is among the elite group of firms that deliver top-tier legal services at international standards. The professional hallmark of the Firm, which traces its history back over 80 years, is the unrelenting pursuit of the highest professional and ethical standards in the service of its clients. The attorneys' deep understanding and keen insight into the Israeli business sector provide a strong basis for the Firm's multidisciplinary approach. The pillars of the Firm's guiding principles are legal excellence, dedication to clients, business insight, ethical behavior, professional creativity, and innovation. Among the Firm's alumni are two of Israel's most prominent Supreme Court Justices, the Honorable Yoel Zusman and the Honorable Alfred Vitkon. The Firm is headed by Adv. 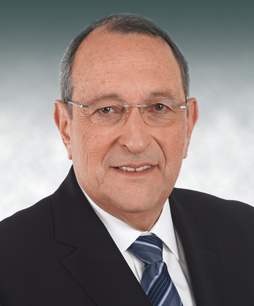 Eli Zohar (Chairman) and Adv. 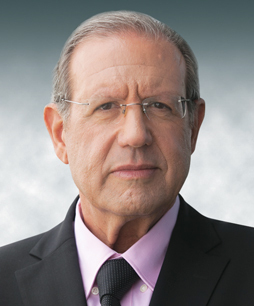 Yudi Levy (Managing Partner and Chairman of the Executive Committee). At the basis of the Firm’s professional approach is a perception that considers each client as an independent unit with a unique structure and needs. The Firm strives to provide each client with a basket of services according to its needs. Clients receive personal and individual attention while enjoying the advantages of a large office with extensive connections and a global presence, that offers a variety of complex services. The Firm recruits and employs the best professionals, who come from different fields and countries. This human capital, along the Firm’s commitment to quality, excellence, and integrity, is what makes it a legal service provider chosen by companies, individuals and investors, from the largest and leading companies in Israel and worldwide. The Firm’s attorneys have cross-border expertise and experience in various legal areas and are highly capable of providing comprehensive and creative legal solutions. The diverse experience, combined with a multi-disciplinary work approach that synergistically brings together experts from different legal disciplines under one roof, enables the Firm to tailor to each client a special legal suit. The Firm employs more than 220 attorneys, including over 80 partners, who offer clients a wide spectrum of legal services. The Firm focuses on three core practice areas: corporate and capital markets in Israel and overseas, litigation of all types, and real estate, planning and construction. The Firm also has highly regarded practices in taxation, banking and finance, insurance, energy and infrastructure, environmental law, antitrust and competition, labor law, tort law, and more. Goldfarb Seligman has consistently been ranked among the leading law firms in Israel in various practice areas by international and local ratings such as Chambers, The Legal 500, IFLR 1000, BdiCode, Dun’s 100, and others. Capital Markets and Public Offerings, in Israel and Abroad – Goldfarb Seligman has Israel’s leading capital markets and public offerings practice. The Firm advises on public offerings in the Israeli and foreign capital markets, provides ongoing securities law advice to dozens of public companies and represents issuers and underwriters in Israel, the U.S., Europe, and Australia. The Firm works closely with foreign underwriters and investment banks, and the Firm’s attorneys have unparalleled expertise in complex financial transactions, and in the representation of clients before various securities authorities and stock exchanges. In addition, the Firm’s vast experience with U.S. securities law enables its attorneys to match Israeli law requirements to U.S. law requirements, or to those of other foreign legal jurisdictions. Corporate and Commercial Law – The Firm handles the largest and most complex cross-border corporate transactions involving Israeli entities while maintaining continuous contact with governmental authorities and handling all regulatory aspects of the deals. The Firm’s attorneys apply knowledge from various disciplines of commercial law, as well as multidisciplinary experience acquired while working and studying outside of Israel. The Firm’s attorneys act as counsel to companies concerning proper approval of major interested party transactions and advise on executive compensation. Mergers & Acquisitions – Goldfarb Seligman possesses extensive experience in merger and acquisition transactions involving public and private companies. In recent years, the Firm has had the lead role in numerous international transactions worth tens of billions of dollars. The Firm represents leading Israeli companies in international transactions, as well as foreign clients in their Israeli acquisitions, while providing integrated advice in various legal fields. Commercial and Corporate Litigation; Dispute Resolution – The Firm handles the most complex commercial and corporate litigation. The Firm’s litigation department partners are among the leading trial lawyers in Israel and represent Israeli and international companies, as well as key businesspeople and senior officials from the public sector. The Firm advises on a wide range of legal issues, including complex commercial litigation; corporate litigation in public companies; class actions; international litigation and arbitration; antitrust litigation; internet litigation; real estate litigation; and more. In addition, the Firm’s senior partners serve as mediators and arbitrators in complex business and personal disputes. The Firm also maintains a boutique law firm within the firm, which specializes in family law mediation. 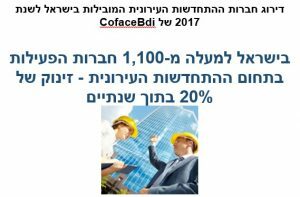 Real Estate, Planning, and Construction – The Firm has one of Israel’s leading real estate departments and handles the most significant transactions in the Israeli real estate, planning and construction fields. It advises holding companies, leading real estate companies and developers on a broad variety of projects, including commercial, industrial, office, residential, hotel and planning and construction projects; and provides clients with comprehensive legal services in all stages of acquisition, bidding, planning, licensing, development, construction, and marketing, including handling required financing and tax issues. Tax and Executive Compensation – Goldfarb Seligman’s Tax and Executive Compensation Department is one of Israel’s most prominent and experienced tax departments. The Firm’s attorneys advise on the taxation of domestic and international transactions; mergers and acquisitions, real estate taxation; import, export and international trade law; VAT; and more. In addition, the Firm specializes in all aspects of executive compensation, including handling all tax and securities issues and drafting sophisticated stock option and bonus plans. Hi-Tech, Venture Capital and Technology Agreements – The Firm has unique expertise in the hi-tech field and is involved in dozens of domestic and international venture capital transactions every year, representing both investors and companies. The Firm advises early-stage companies on financing and intellectual property; handles exits (IPOs, M&As); and advises venture capital funds with respect to capital issues and other related matters. In addition, the Firm possesses extensive experience regarding agreements for commercializing technologies, in both the hi-tech and the life sciences fields. Project and Infrastructure Financing – The Firm handles a significant portion of the infrastructure projects in the Israeli market, particularly in the transportation and energy fields. The Firm advises governmental agencies and private sector entities from the formation stages, through statutory and legislative proceedings, to expropriations, tenders, and financing. Energy and Natural Resources – The Firm is one of the pioneers in the Israeli energy and natural resources field. The Firm provides comprehensive professional counsel integrating legal, professional and commercial aspects, from the early development stages of energy projects, throughout their construction and to financial closure and ongoing operation. In addition, the Firm possesses extensive experience in complex tenders and providing professional counsel regarding financing models and agreements tailored to the needs of the energy market, including PPA, EPC and O&M agreements. The Firm advises developers and corporations regarding the establishment of natural gas power plants, renewable energy projects, natural gas distribution and consumption, and more. Environmental Law and Sustainability – The Firm’s attorneys counsel clients on environmental law requirements and advise on licensing and enforcement before the governmental authorities; represent clients in administrative, criminal and civil proceedings; assist in the drafting and implementation of internal enforcement programs; conduct due diligence; represent financial institutions with respect to environmental risk management; and advise companies operating in the energy and water fields. Antitrust and Competition – The Firm specializes in providing ongoing legal counsel to clients regarding complex antitrust and competition matters, including litigation proceedings and administrative, civil and criminal enforcement. The Firm regularly provides complex legal opinions on various competition aspects in relation to a wide variety of matters, including monopolies, restrictive agreements and mergers. In addition, the Firm builds internal compliance programs tailored to the unique needs of each client. Regulation – The Firm provides comprehensive legal-strategic counsel in the regulation field, advising various business groups and leading corporations operating in a wide variety of fields, including telecommunications and media, cyber security, infrastructure, healthcare, food, economic regulation and more. The Firm provides both immediate counsel regarding isolated matters and advice on developing long-term regulatory strategies, based on the extensive knowledge and experience accumulated by the Firm in this field. Banking and Finance – The Firm handles various domestic and international financing transactions, and advises on ongoing banking activity and activities in all financial services fields, such as securities, custody and brokerage, credit cards and financial derivatives. In recent years, the Firm has advised on some of the most complex bank financing transactions in the Israeli market. Telecommunication and Communications – The Firm provides ongoing counsel to various leading companies in the telecommunication, communications and broadcasting fields, with respect to regulations, licensing, mergers and acquisitions, transfers of corporate control, commercial disputes and complex litigation proceedings, including class actions. Labor Law – The Firm provides strategic advice in order to resolve complex human resource management issues, and advises organizations and individuals during reorganization processes, including employee recruitment and termination; collective bargaining; mergers and acquisitions, due diligence; and more. The Firm also represents clients before labor courts and governmental authorities, as well as in alternative dispute resolution proceedings. In addition, the Firm provides comprehensive legal counsel regarding immigration, visa and relocation matters. White Collar – The Firm is one of the leaders in the white collar defense field. The Firm’s attorneys, headed by Adv. 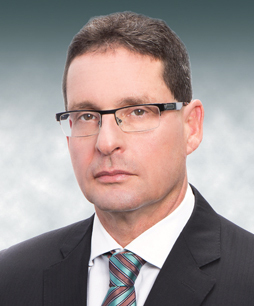 Eli Zohar, Chairman of the Firm, represent senior members of the business and public sectors in criminal cases involving matters such as securities, antitrust, taxation and money laundering, and defense and national security offenses. Insurance and Provident Funds – The Firm provides comprehensive legal advice to provident funds and to various companies in the insurance field, including both Israeli insurance companies and international insurance companies that operate in Israel. This comprehensive legal advice extends from the preliminary stages of establishing insurance companies and agencies and obtaining operating permits and licenses, through legislative activity, regulatory proceedings and relationships with agents, to the representation of insurers in claims filed by insured parties, in class actions and more. Libel – The Firm has extensive expertise in this field. It represents media outlets and advertising agencies and provides ongoing pre-publication advice on investigative journalism pieces and advertising campaigns. The Firm also handles public figures’ libel claims and the defense of media outlets in libel actions. Tort Law and Medical Malpractice – The Firm is one of Israel’s most experienced in these fields and has created many precedents in the torts field. The Firm has a history of representing medical entities and possesses expertise in managing complex tort claims, including claims that combine the legal demands of dozens of injured individuals. Intellectual Property – The Firm handles litigation and diverse commercial issues relating to intellectual property, and represents clients in court proceedings and before the Patent Office in matters concerning copyright, patents, trademarks, trade secrets and more. The Firm also provides evaluations, drafts licensing agreements, registers trademarks and advises on OEM license agreements, distribution agreements and VAR agreements. The Firm maintains continuous contact with patent, copyright and trademark offices in Israel and abroad. Class Actions and Derivative Actions – The Firm represents leading Israeli and multinational corporations in class actions regarding securities, antitrust, insurance and banking, and consumer protection issues. The Firm’s expertise results from representing hundreds of corporate defendants in class actions. This experience enables it to utilize creative tools to prevent the certification of claims as class actions and to resolve disputes through alternative measures while reducing the clients’ exposure to both financial and reputational damage. The Firm also has expertise in the representation of clients in derivative actions and represents companies, shareholders, directors and senior executives. Administrative Law – The Firm has extensive expertise in this field and represents clients before governmental authorities, administrative law courts and the High Court of Justice, including in matters relating to tenders, communications, and education. Receiverships and Liquidations – The Firm handles liquidations, receiverships, creditors’ arrangements and reorganizations under bankruptcy protection. The Firm’s attorneys have served as or represented, reorganization trustees, receivers, and liquidators in some of the most complex proceedings in Israel. The Firm has unique expertise in liquidations and receiverships of hi-tech companies. Which company Israelis think it is best to work for?